A report co-published by Zimbra and the Ponemon Institute, The Open Source Collaboration Study: Viewpoints on Security and Privacy in the US and EMEA, confirmed the changing perceptions of open source software. Once thought to be risky for security and privacy concerns—the study uncovers the fact that open source software is now viewed to be of higher quality due to enhanced privacy and security. The survey drew in responses from IT and IT security practitioners across 18 countries in Europe, the Middle East, Africa and the United States. The majority (57%) of respondents came from the US and EMEA and indicated that they were very familiar with their organizations’ data privacy and security policies. When asked if open source solutions for commercial banking would increase transparency, security and trustworthiness of applications, 68% of US respondents and 78% of EMEA respondents said ‘yes’. As trust and perceptions of open source solutions change, governments are moving in this direction due to the transparency in open source code that is not available in proprietary solutions. 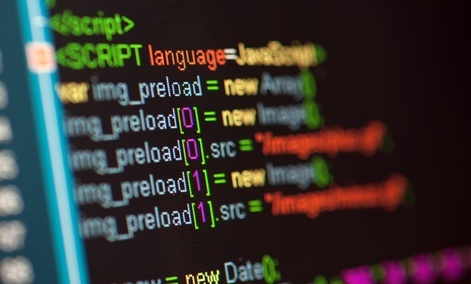 Since open source code is open for review to the public, potential users are able to verify a patch’s efficiency for bugs in addition to ensuring that trusted development practices were used. This is one reason why the US Government’s Digital Services Team declared their policy for developing open source solutions in a blog post last July. In addition to being more transparent and secure, 18F is dedicated to open source solutions because they believe that open source software is easier to use than proprietary software. According to Eric Mill, a Software Engineers at 18F, open source projects are especially easier to use if they have a large community following. He notes further that "communities for even modestly successful open source projects generally offer rapid assistance..."
This is primarily due to the fact that support for open source software is open to the public and continuously developing. Open source software projects benefit from a community of developers who typically offer quick support which is made available in ongoing knowledge bases (either in the code or through discussion groups). Support for proprietary software is also fast and efficient but it is limited to those who are willing to pay for it. Thus, 18F has dedicated themselves to both using free and open source software and creating an open environment where all projects can be shared with the public by publishing all source code that is either created or modified. According to Hillary Hartley, the Deputy Executive Director at 18F, the overarching goal of their open source mission is to propel agile technology development throughout the federal government which will in turn provide user-centric digital services. Just like 18F, Lambda Solutions sees the benefit of Open Source Talent and Learning Management Systems, Totara and Moodle. With a global community of developers, Totara and Moodle offer organizations with an enterprise-grade talent and learning management system that is affordable and easy to use. For more information on how open source LMS solutions will reduce the cost of your learning and training, give us a call today.